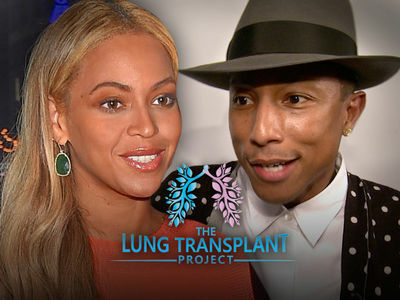 Beyonce and Jay-Z Twinning at 5 Months ... Meet Sir & Rumi, Again! Beyonce and Jay-Z made another major debut this weekend -- they showed off their twins in full view for the first time since their newborn photo shoot ... and as you might imagine, they're freakin' adorable. The couple was seen Friday coming in and out of a mansion they were staying at in Miami, where most of the fam seemed to be tagging along ahead of Jay's concert in Orlando. The only difference now is we're seeing the entire brood together for the first time in 5 months, including its 2 newest members, Sir and Rumi Carter. 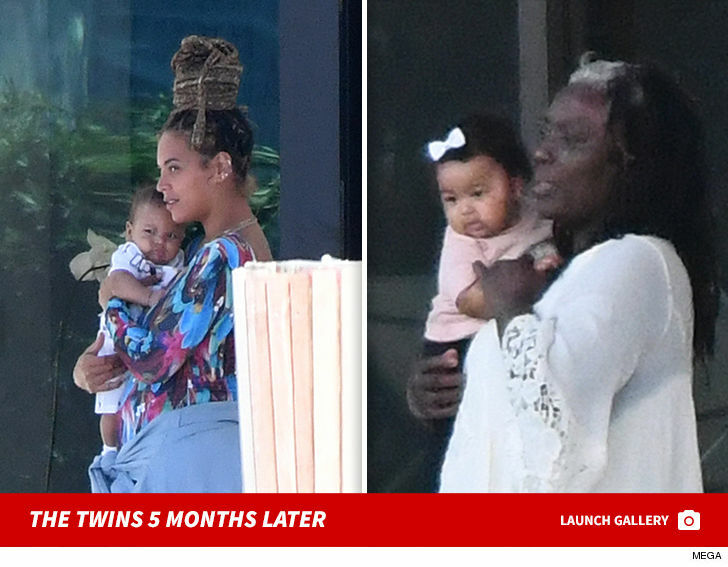 Bey carried Sir -- who seems to be working hard on his mean mug -- while Jay's mom, Gloria, held Rumi. Grandma Tina was there too, and even got to cradle Rumi herself. Jay and Blue Ivy must've gotten their baby duty done inside, though, 'cause they were twin-free in front of cameras. The Carter-Knowles sure look good in full force ... you might even need to do a double take here to appreciate 'em. 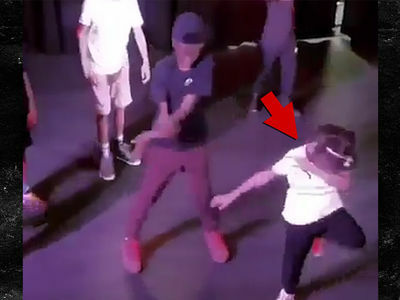 Blue Ivy Carter Busts a Move at Cousin's Birthday Party!! !